I swear that art is getting weirder. 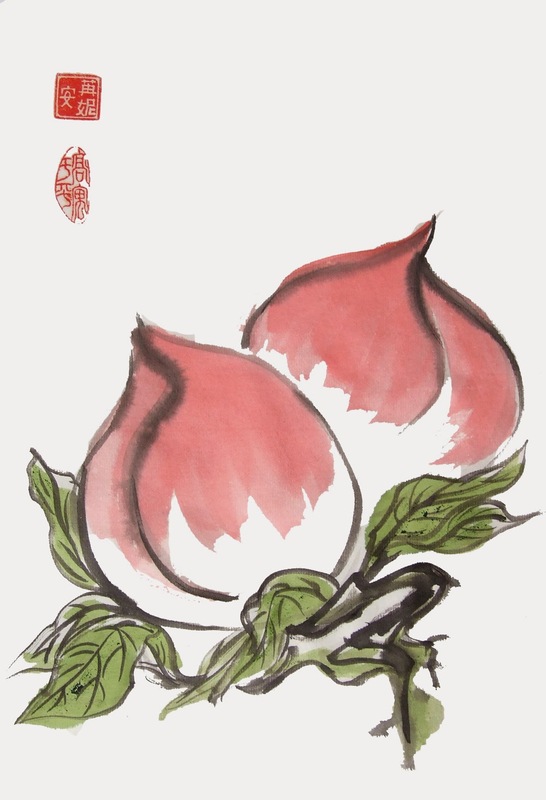 I’ve held this opinion ever since my parents told me about a Chinese painter who created beautiful images of peaches by dipping his rear end into paint. A recent visit to the Museum of Modern Art (MoMA) in New York left me with no doubt: avant-garde artists are pushing at the boundaries of normalcy. Some works were so bizarre, simplistic, or abstract that my friends and I had many “What is this doing in a museum?” moments. I’m not sure if our world is just getting bored, or if normalcy really is evolving. In any case, the “advance guard” of artists is marching ahead into the realms of eccentricity, and we must catch up or be assaulted by accusations of ignorance. A classmate once told me that he had a problem with avant-garde art because the works are so inscrutable that they need “statements of purposes,” usually in the form of text on plaques hanging on the wall next to the art installation. According to him, what you see in the artwork itself is what you should experience, without little footnotes telling you that the painting represents “the antagonistic juxtaposition between absolute ataxia and syzygy,” and such. At that time, I wasn’t sure if I agreed with him or not. Perhaps my first mistake was to search for the author’s intention before I had even formed my own opinion on the work. 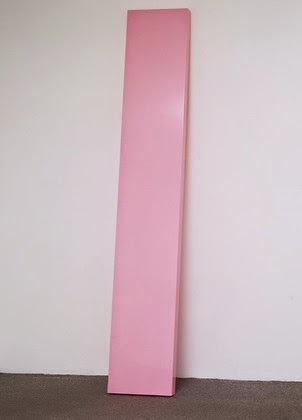 If I hadn’t read the statement, perhaps I would have first noticed that the pink plank closely resembles a certain male body part and thought that the artist was commenting on the sad reality that I have a dirty teenage mind that is polluted by the overabundance of inappropriate images in media. Eureka! But I read the artist’s statement and allowed the “correct interpretation” to put me to shame. But somehow I cannot force myself to believe in “the world of imagination…and all that” when I don’t see it in the art. If my thoughts are inconsistent with the “correct statement,” I don’t believe I am incorrect. I believe I am merely interpreting the work in my own, albeit crude, way. The artist’s intention and ideas are relevant when explaining the motivation and history behind the work, but they should not dictate the way people view art. The statement on the wall is just the Cliff Notes. Fancy, scholarly analysis of Edvard Munch’s Scream can never replicate the same sense of horror that the actual work evokes. There is no problem with avant-garde art. In fact, wild experimentation is the basis of innovation. But the pioneers of art must be brave enough to accept the reality that their work will not be widely understood. The more bizarre the art, the more unlikely everyone will see the same thing. The Last Supper depicts Jesus Christ, there’s little question about that. But any Jackson Pollock drip painting could be graffiti gone wrong, dyed rain, or blood splatters from an alien massacre. But it doesn’t matter what Pollock’s paintings are “supposed” to be. That’s why they are so innovative. Yes, avant-garde art is weird. And stupid. And wonderful. As our world grows increasingly technological and abstract, the avant-garde artists document the evolution of our society. We may not agree with these artists. We may not understand them. We may commit them to a psychiatric ward. Regardless, the artists should allow us to interpret their paintings and sculptures on our own. The diversity of responses to the same piece of art is interesting and reflective of our society. “Trust me, there’s nothing weirder than Russian avant-garde art,” my roommate once assured me. That’s a challenge for every aspiring artist. Shock us, mesmerize us, and make us think about the world in a different way. If your art inspires people, it will survive time, doubt, and society’s short term memory. There’s a chance it will shrivel up and vaporize into nothingness. But that doesn’t mean you can’t stand at the frontier of art and throw stones into the unknown to see if it hits something that resonates. Your goal is to touch only one person’s life. After you achieve that, it doesn’t matter what the rest of the world thinks.